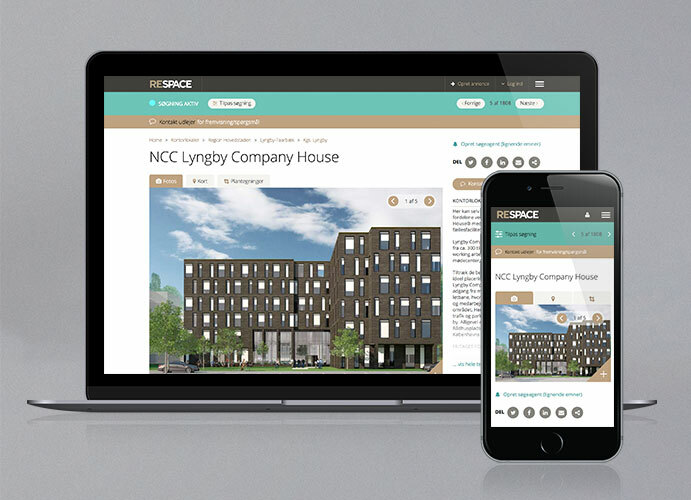 Respace is an online portal for all types of corporate and commercial reat estate. It is being used as a marketing tool by real estate agents, property companies, small to large cap businesses and private property owners, who wish to to rent or sell offices, retail space, co-working spaces, warehouses, industrial properties, investment properties etc. Advertisers can market their properties 100% free or choose a paid advertising package with a number of advantages and built-in functions. 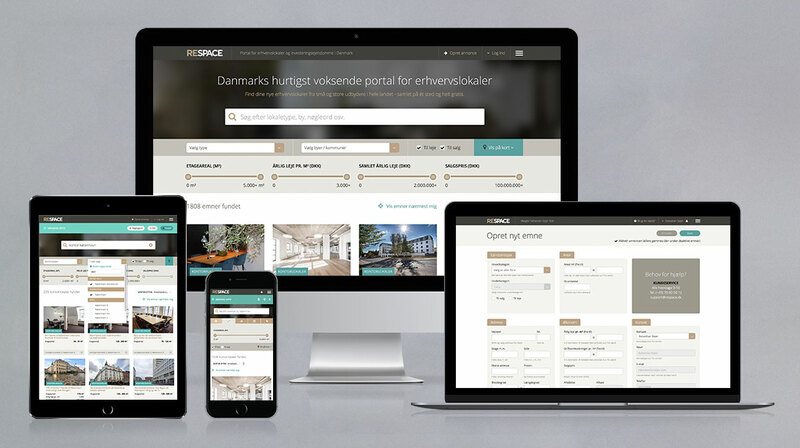 Respace is the fastest growing Danish portal for commercial properties, and has a clear ambition to always offer the best user experience for both advertisers and tenants / buyers. 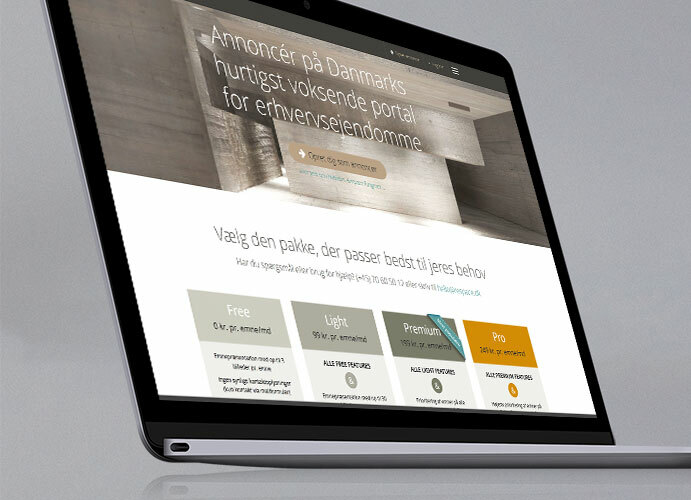 Most of the key players on the Danish market, use Respace as part of their marketing strategy. 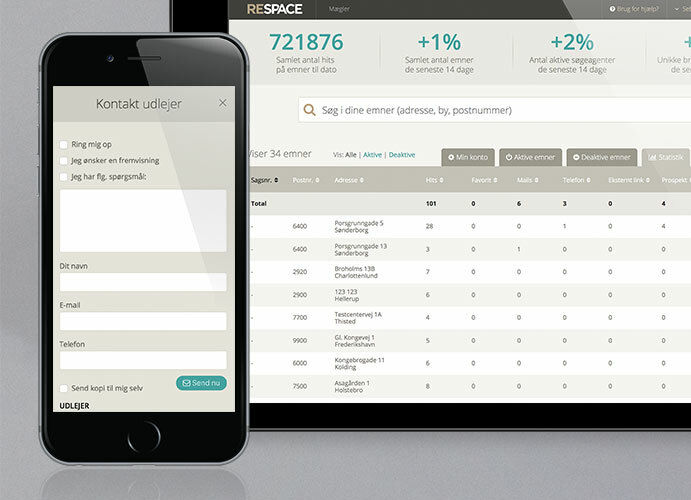 We are co-founders of Respace and have contributed with business development, visual identity, UI/UX, SEO/SEM and much more.